With advanced training in orthopedics, we are better able to diagnosis and treat your pain or injury. We also conduct movement assessments to find out if other areas are affecting your condition. We are Central New Jersey’s highly-trained experts in rehabilitating orthopedic and sports injuries. We strive to provide unparalleled patient care by requiring all of our providers to attain advanced credentials in orthopedics. 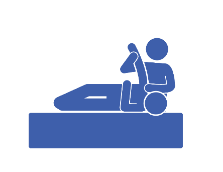 We feel it is important for our patients to know that they are being treated by physical therapists with exceptional clinical skills. We also believe in assessing the whole body, not just the area of injury and pain. This is due to the fact that mobility and strength problems in one area of the body can cause pain and injury at other distant areas of the body. Our customized treatment plans will treat the problem area as well as the root cause. He pinpointed my problem immediately and I felt relief after my first visit. I rarely write reviews, but my visits with Dr. James Coomber have been wonderful. He pinpointed my problem immediately and I felt relief after my first visit. I look forward to my visits and would highly recommend him! My quality of life has improved from the treatment received at Mana PT! Knowledgeable, caring and efficient. I have had nothing but professional experiences and excellent results working with Dr Coomber and his staff. My quality of life has improved from the treatment received at Mana PT! Give them a try as they are the best in the area! James and his staff are top notch and provide a high level of service. The team’s attention to detail and one on one approach is very different than your typical group sessions provided by most PT groups. James is extremely knowledgeable and provides a customized experience to get you back to health. I have used Mana for my back injury and now after my knee surgery. After my first visit the sciatic pain and limping symptoms virtually disappeared. After my first visit the sciatic pain and limping symptoms virtually disappeared. I’m continuing as weaknesses are being worked on successfully. Making an appointment was easy and they were accommodating to my schedule. Dr. Coomber helped treat my ankle after spraining it. He is very easy going and professional. The office is clean and welcoming. Making an appointment was easy and they were accommodating to my schedule. I would recommend Mana Physical Therapy to anyone looking for the best results!! Dr. Coomber was awesome! I’ve been to 2 other doctors and they couldn’t get rid of my neck pain, but after 3 weeks with Dr. Coomber the pain relief was much greater than what I had experienced before. Mana rocks!!!! I came for pre-surgery physical therapy for a torn ACL and they helped me to prepare. Dr. James and the staff really know how to treat their patients. I’m looking forward to ACL surgery and a speedy recovery at Mana PT. I'm starting to feel like myself again! I’ve been seeing Dr. Coomber for two weeks and i am already very impressed with how fast I’m starting to feel like myself again! Thank you! 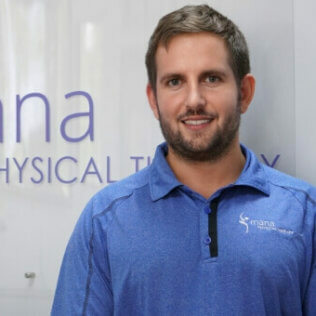 Mana Therapy is by far the best place to go to if you need physical therapy! Everyone in the office is friendly and professional. James is the most knowledge therapist I have ever come across. He explains EVERYTHING!!! I am confident that I will be back to normal very soon!!! Stop your suffering by request an appointment.